Leave payment processing, fraud protection and secure data storage to the experts at Authorize.net. Chances are you have better things to do with your valuable time than worry if payments are processing correctly, fight fraud and store data securely. 😣 All you really want to know is if payments are depositing quickly into your bank account. 😃 💰 👍 One service provider who can do all this (and more) for you is Authorize.net. Helping businesses since 1996, this payment gateway is time-tested to address all of your business needs. Leave it to their experts to take care of all that fussy stuff that would otherwise take up the time you need to manage your business and bring those customers to your door! In your Admin Area, go to Settings > Payment. Select United States as your Gateway Country and Volusion Merchant Services (AUTHORIZENET) as the Gateway Name. 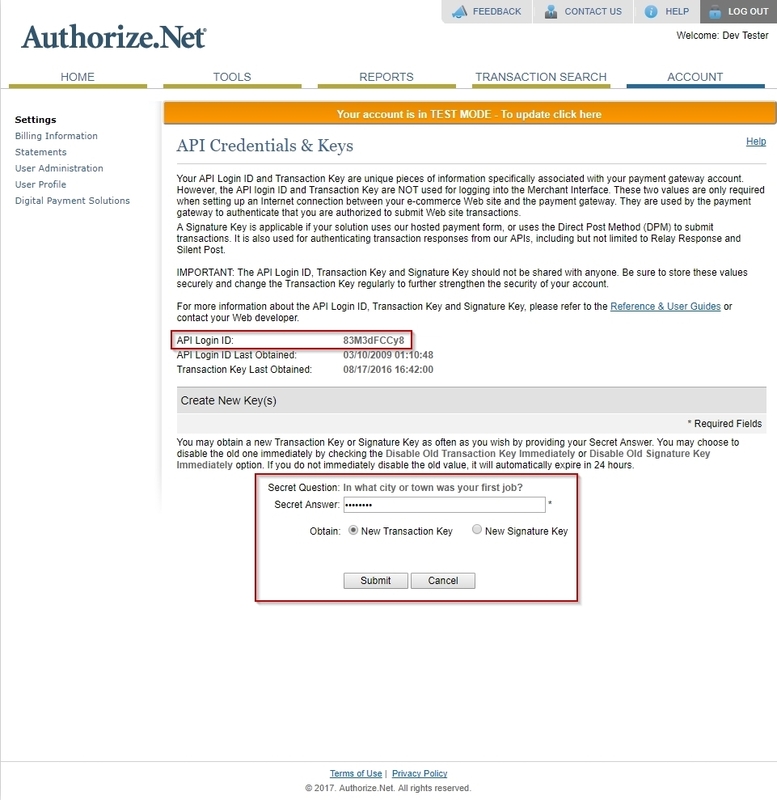 Enter the API ID and Transaction Key supplied by Authorize.Net into the corresponding fields and click Save. Do I need the Signature Key? No. 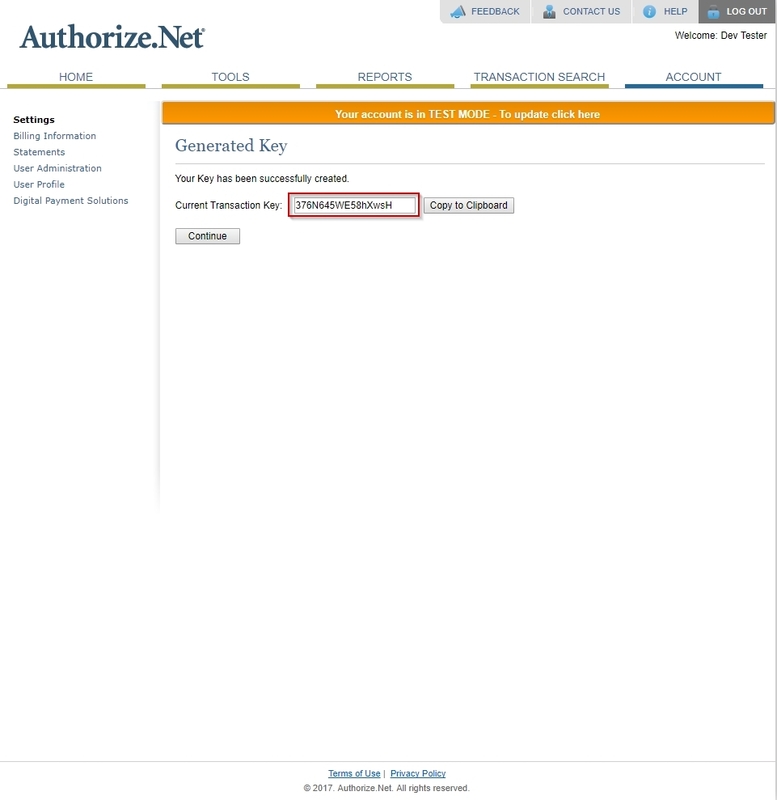 Volusion's integration with Authorize.net specifically supports the AIM (Advanced Integration Method). The Signature Key is required for a separate method (SIM) that is not used by Volusion. The Address Verification Service (AVS) is a tool designed by bankcard processors to assist in identifying potentially fraudulent credit card transactions. For every credit card authorization, AVS compares the billing address and ZIP code provided by the customer to the address and ZIP code on file at the card issuing bank. AVS then returns a response code indicating the results of the comparison. In the section below, you can choose which transactions to reject, based on the response codes, by checking the box next to each code. The payment gateway will reject transactions based on your selection. 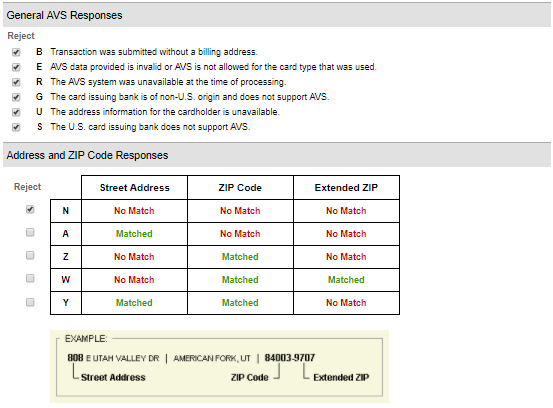 The recommended AVS response code selections are B, E, R, G, U, S, and N.
If you are having any issues with transactions declining through Authorize.Net, you may need to contact your Merchant Services Provider or Authorize.Net directly for guidance about which of the above AVS settings may be triggering a decline. Keep in mind that some of the above settings will cause international credit cards to decline since many international banks do not support AVS (ex. G). Those settings which directly affect a customer's ability to order with an international credit card can be turned on/off at your own discretion. Also, please note that when AVS checks a Street Address, it only verifies the numeric portion of the address and zip code. If the numeric portion of the address matches, then AVS will return a Match for the Street Address. Sometimes, a customer will see a "Card Declined" message when attempting to place an order, but a pending (authorized) charge will show on the customer's records. This is due to sequence in which a charge is processed. First, the gateway will check if funds are available on the credit card. If funds are available, a pending charge is placed. Then, the bank will communicate which aspects of the AVS check did or did not match the information that the customer provided. 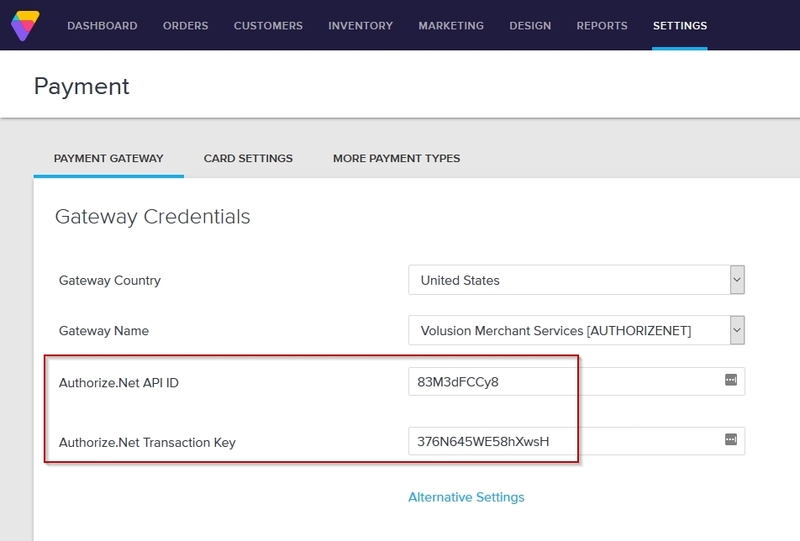 If your Authorize.Net AVS filters indicate that you want a transaction to decline based on that AVS mis-match, then the card will decline and the customer will get a "Card Declined" message. The pending charge will remain because there was still an authorization from when the gateway checked for available funds. The authorization will expire in 7-14 days, depending on the card-issuing bank. 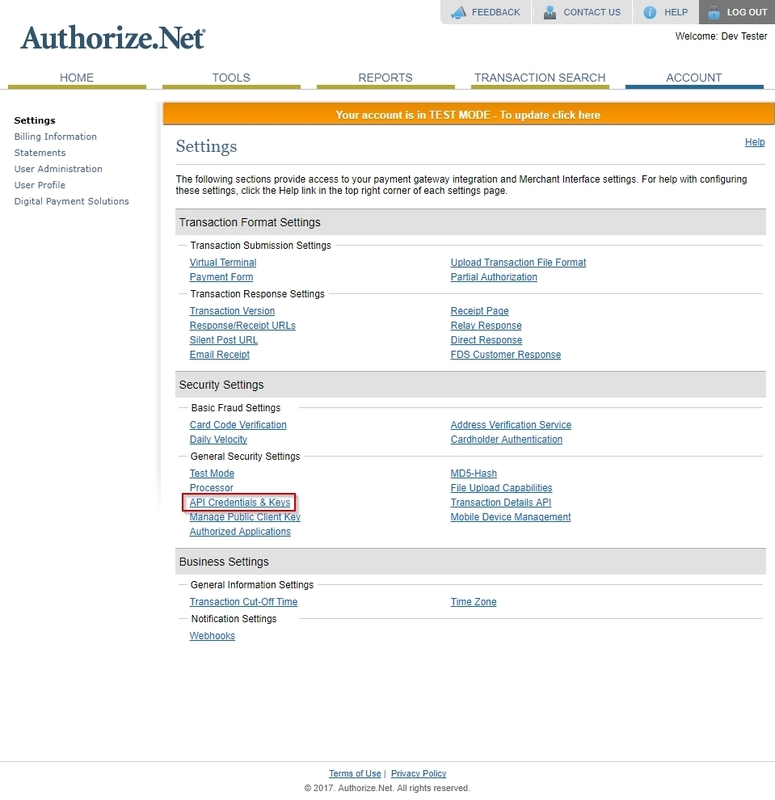 You will need to turn off Test Mode in Authorize.Net before you can process transactions on your store. 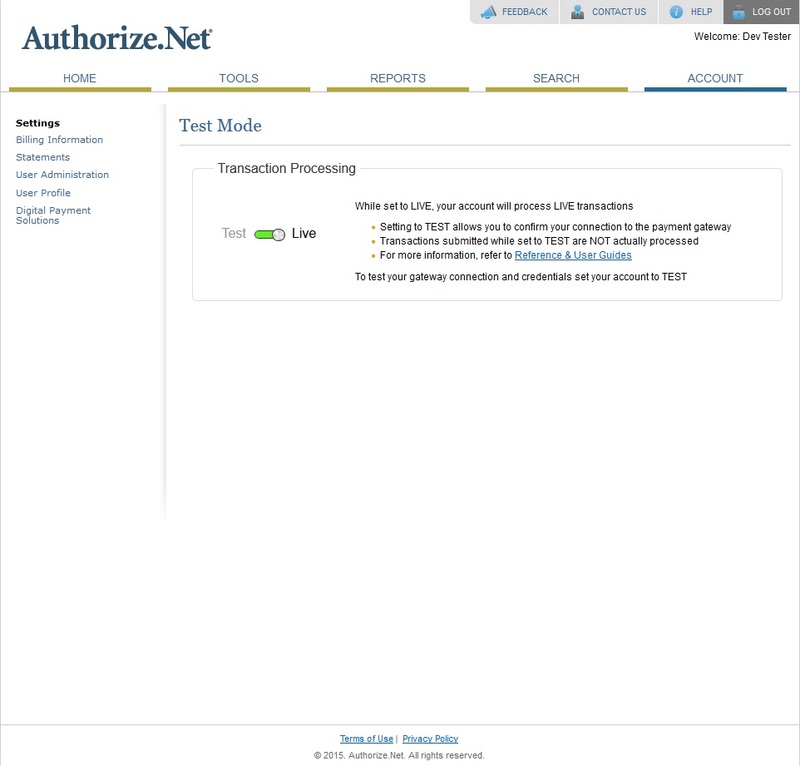 Test Mode is meant to test credit cards directly in the Authorize.Net gateway, and not your Volusion store. If you attempt to process an order in the shopping cart with Test Mode turned on, you will get an authorization, but the authorization code will be all zeros. So when you attempt to capture, it will decline because it isn't a "real" authorization. Click on the orange bar that says "Your account is in TEST MODE". You can also find a Test Mode link located under Security Settings > General Security Settings within your Authorize.net Settings page. When Test Mode is on, you'll see a toggle button in a red bar set to Test. Click on the toggle button to switch to Live mode, which will turn the toggle bar green. 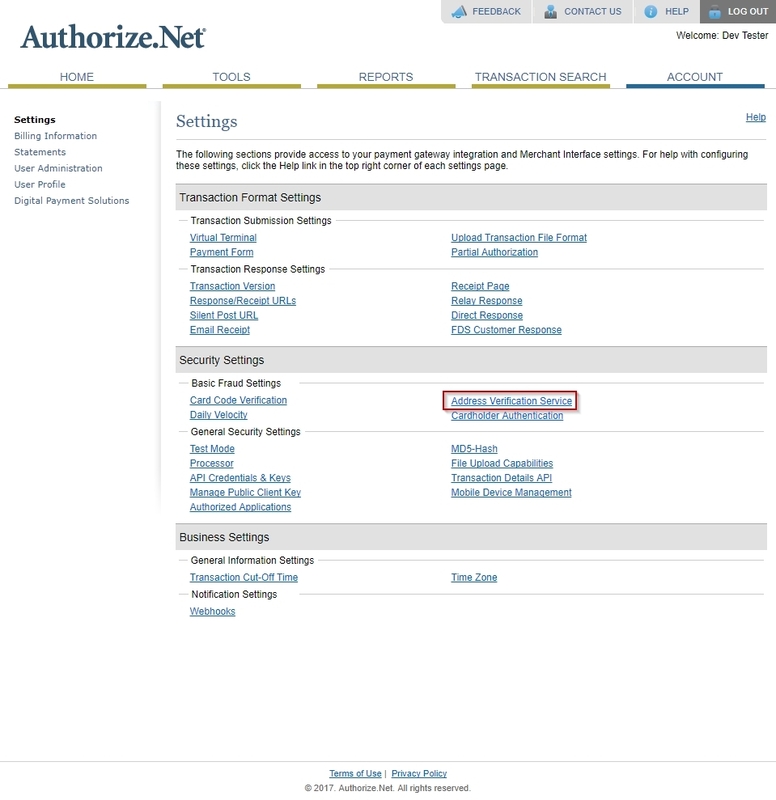 Once you've entered your Authorize.net credentials in the Volusion Admin Area and disabled Test Mode, you should place a test order for $0.01. Be sure to void the transaction and cancel the order when you're done testing! 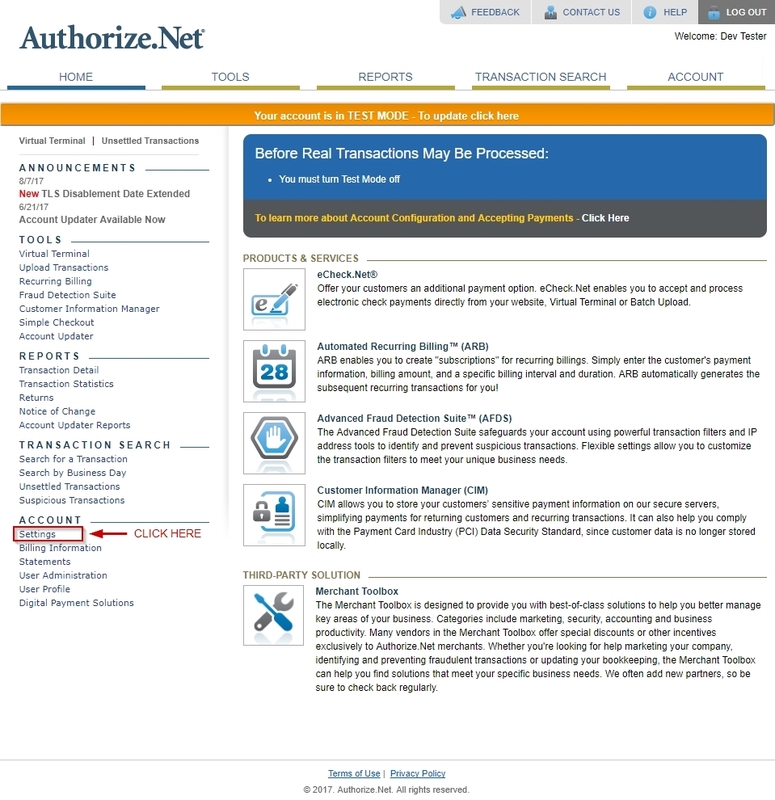 For a list of common errors received when using Authorize.Net to process credit card payments, see "Common Authorize.net Errors With Authorize.net".